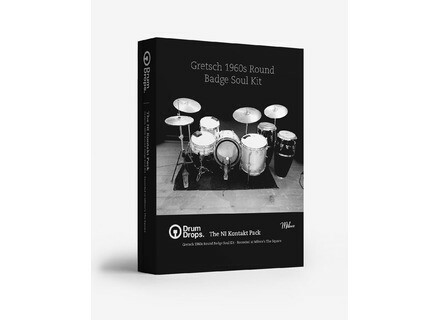 Gretsch 1960s Round Badge Soul Kit, Virtual Drum/Percussion from Drumdrops. Drum Drops announces the release of a new collection of drum samples dedicated to a Gretsch Round Badge. The Drum Drops Gretsch 1960s Round Badge Soul Kit gathers in total no less than 17 000 samples of a Gretsch 1960s Round Badge drum kit recorded with 5 ribbon microphones installed around the kit (a technique used when recording Al Jackson Jr at the Royal Studios in the 1970s). The kit features a 20” x 14” kick, a 13” x 9” rack tom, a 16” x 16” floor tom and four snares: a 14” x 6” Gretsch Renown Maple with Red Sparkle finish and a 14 x 5” Renown Maple with Black Oyster Swirl finish, a 14” x 5” Ludwig Acrolite and a 14” x 5” Ludwig 400. This kit is completed with Bosphorous New Orleans 16” hi-hats, 20” ride and 18” crash. Samples of congas, tambourine and shaker are also included for true soul grooves. The Kontakt version will also feature MIDI soul grooves from the Royal Drops album played by Timmy Rickard. 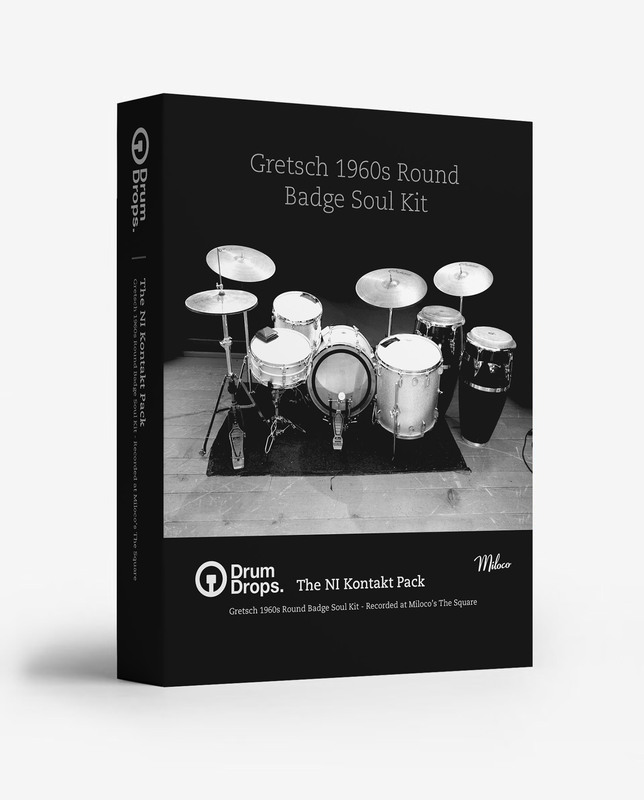 The Gretsch 1960s Round Badge Soul Kit is currently available in four editions (Multi-Velocity Pack, Single Hits Pack, Drum Replacement Pack and All Samples Pack) for multiple virtual drums and samplers. The edition for the full version of Kontakt 5 is on pre-order for the special price 31.50€ / $41.50 / £25 and should be available in November. A pack for BFD should also be available soon. Drum Drops will offer a 50% coupon code towards the other Packs of this kit to the customers who pre-order the Kontakt version and if you use promo code gretsch20, you get a 20% discount off the available Packs at drumdrops.com. HeadlessBuddha Samples Tapering Piano Headless Buddha introduces a bundle of upright piano sampled with old tape machines, for use in Kontakt 5. Emulation weekend deals at UVI Every Thursday for a few weeks now, UVI runs a flash sale on a product that lasts only until the next Monday. Iridium Iris Reality Bass now for Mac and PC Reality Bass, the virtual instrument plug-in developed Swedish Iridium Iris, is now available in VST and AU formats for Mac and Windows.